Every year there seems to be a prospect that comes out of nowhere and storms onto the scene. We’ve seen it the last few years with Francis Martes, Ramon Laureano, Rogelio Armenteros, Yordan Alvarez, and many others. With the Astros system being very deep, especially high upside talent at the lower levels, the Astros should have another couple guys who breakout this year. Here are my potential breakout prospects for 2018. Toro-Hernandez was drafted by the Astros with the 5th round pick in the 2016 draft. Toro made his full season debut this year starting out with Tri-City. In the NYPL, Toro-Hernandez had 6 HR and a phenomenal 19 BB/21 K in 32 games. This was good for a 185 wRC+ and .952 OPS. He played about 80% of his innings with Tri-City at third base. He was then promoted to Tri-City where despite an insatey low BABIP (.198) he managed to have a .786 OPS and 120 wRC+. His plate discpline continued to show walking 13.3% of the time. He played about 62% of the time at third base with the rest coming at catch. Overall he had a good debut season showing off plate discipline and power. Toro-Hernandez should get a full season of games in this year and will probably see more time at catcher, that could boost his value even more. He is a prime candidate to be a breakout guy. The Astros signed Valdez for $450,000 in 2015 out of the Dominican Republic. Scouts noted his line drive, contact approach at the plate and that showed this season. The 18 year old made his stateside debut playing with GCL and Greeneville hitting just .217, but that was with a low .252 BABIP. For a young player he had solid walk and strikeout rates showing good plate discipline. He also posted the highest ISO on GCL Astros (.193) of any hitter with at least 100 plate appearances. Valdez is a lefty hitter standing at 5’9″ but a guy who seems like he should do well as his moves up the ladder thanks to ability to draw walks and put the ball in play. Sandoval was drafted by the Astros in the 11th round of the 2015 draft. Sandoval is a big lefty standing 6’3″ and weighing close to 200 lbs. Following the draft, Elias noted Sandoval has a lively fastball that he locates well and a solid curveball and changeup in place. Sandoval had a couple mediocre seasons before putting together a solid 2017. Overall he finished with 78 K in 61.2 innings pitched good for a 4.09 ERA, though his peripherals looked way better with a 2.32 FIP. His K-BB% of 20.3% was also very good for a 20 year old in full season baseball. His fastball sits in the low 90s and curveball will flash plus, just waiting for it all to come together for him. At 21, he could be ready tot take the next step. The Astros signed Carrasco for $480,000 in the summer of 2016. 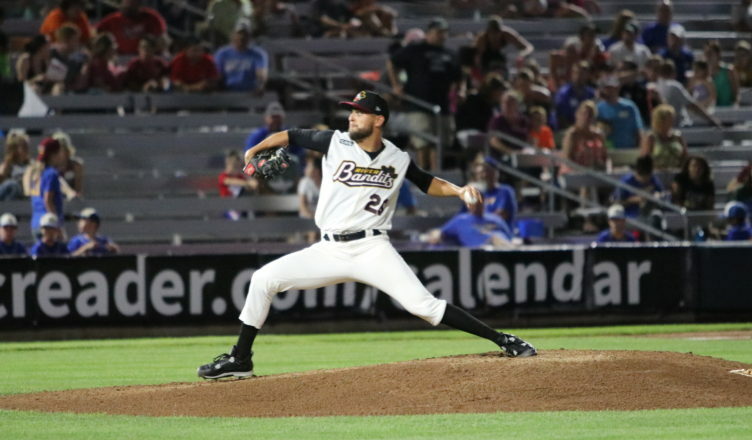 Carrasco played in 2017 with the DSL Astros and had a solid professional debut. In 64 games he had a 125 wRC+ and 18.9 BB% and 19.1 K%. While he doesn’t have a lot of power, he makes up for it with his plate discipline and speed. 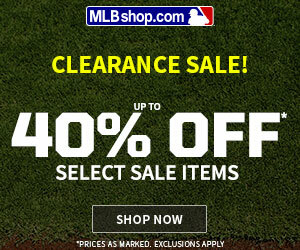 Overall he had a .716 OPS with 32 SB. Carrasco is a good runner and a good enough defender to stay up the middle. While he is just 5’9″, he is filled out a bit at 165 lbs. I’m digging deep with this one but I think Carrasco is a guy who can move to the states next year and put together a very good season. 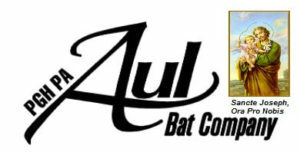 Also, for those amateur and professional baseball players out there looking for a new quality product to swing check out Aul Bats at AulBatCompany.com. Handmade with attention to detail for a premier product.